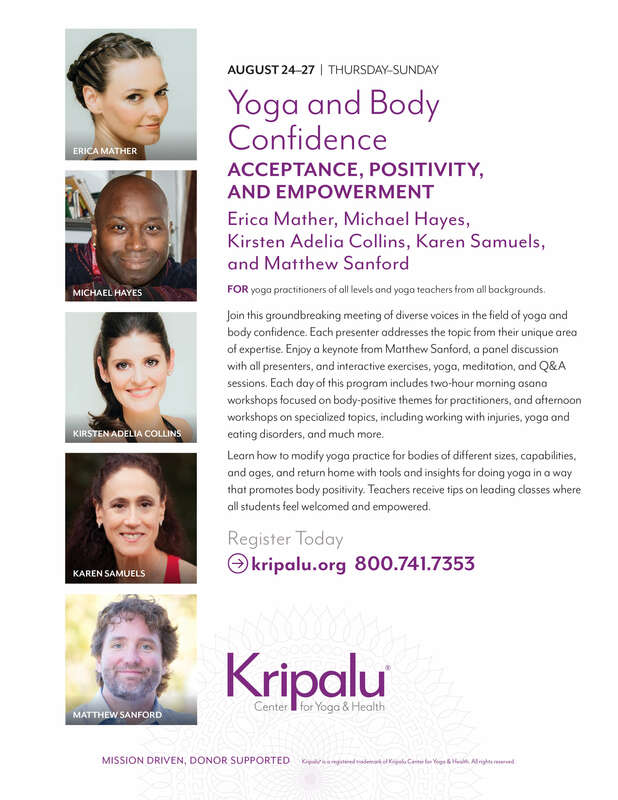 Would you like to host Yoga and Body Image Coalition speakers at your studio? Email ybicoalition@gmail.com to find out how. The following content was written by Embody Love Movement and has been cross-posted with permission. For the original article, see here. It starts when we’re children. “Who’s your Valentine?”, parents ask. And then, “Who are you giving your Valentine to?”, teachers wonder. 11/14/ 2015 - Oakland, CA: Buying and Selling Yoga - Questions of Authenticity and Exploitation. ">Yoga in America has never been more popular, but many believe that valuable elements of the practice can get pushed aside when yoga becomes a bottom line enterprise. Join this exploratory and provocative conversation, a continuing discussion in collaboration with the Yoga & Body Image Coalition. Details from Piedmont Yoga. Join the Yoga and Body Image Coalition for a weekend in Toronto! Tiina Veer and Dianne Bondy will teach a workshop, "Insight & Tools for More Accessible Yoga Classes." Elen Bahr & Anitra Cottledge will lead "My Now Body." Beth Berila & Kerrie Kauer will host "Unearthing Internalized Oppression to Cultivate Empowerment." Ioana Aboumitri will lead an unique Kelani Dance workshop, and Amber Karnes will facilitate "Exploring Sun Salutations." Plus, join Yoga and Body Image Coalition members and allies for this lively community panel discussion about creating and embodying positive space in classes, studios and on and off the mat. Join the Yoga and Body Image Coalition and many others at the 1st Annual Accessible Yoga Conference. Melanie Klein and Thalia Gonzalez will lead a round-table discussion, "What a Yogi Looks Like: Body Image and Diversity." Dianne Bondy will teach an asana class entitled, "Yoga for All Progressive Asana Class." Other teachers and panelists include Matthew Sanford, JoAnn Lyons and Judy Weaver. Register here. Creating change requires conscious thought and action. Through a feminist and intersectional lens, Melanie Klein and Tiina Veer discuss why body positive organizations and movements must address the intersection of the many forms of inequity, privilege, and power in order to have representation reflecting the full range of human diversity (and how to do that!). This is a four-part weekend including two in-depth workshops, one master class and a community dialogue event: June 27: Creating Safe and Accessible Body Positive Spaces, Yoga and Body Image Reading and Community Dialogue. June 28: Compassion and Skill: Bridging Difference: A Master Class with Teo Drake, Yoga and Body Image--Sharing Your Story and Creating Change with Melanie Klein. Details and registration here. A free community event hosted by the Yoga Collective in partnership with the Yoga and Body Image Coalition and Piedmont Yoga. Panelists include Dr. Melissa Mercedes Buttner, Dana Byerlee, Kyra Haglund, and Raja Michelle. Panel to be moderated by Dr. Thalia Gonzalez. Event organized by YBIC partners Lauren Eckstrom, Melanie Klein and Dr. Thalia Gonzalez. RSVP and see details here. With Yoga and Body Image contributor Teo Drake and Yoga and Body Image adviser Carol Horton at the Yoga Service Council Conference at the Omega Institute. This panel and group discussion hosts an array of diverse authors and teachers. Yoga and Body Image co-editor and Yoga and Body Image Coalition co-founder Melanie Klein will be joined by Sabrina Strings, Yoga and Body Image Coalition adviser, Roseanne Harvey, Yoga and Body Image Coalition partner, Lauren Eckstrom & Zubin Shroff for an invigorating discussion, moderated by Yoga and Body Image Coalition leader, Thalia Gonzalez. Learn more about the presenters and the event here. Join Yoga and Body Image co-editor and Yoga and Body Image Coalition co-founder, Melanie Klein and Yoga and Body Image book contributors, Dr. Audrey Bilger and Dr. Chelsea Jackson with Yoga and Body Image Coalition partner, Hala Khouri as part of the Mindfulness and Social Justice Series at Occidental University. Their roundtable discussion will focus on the intersectional themes of the book and include short readings by book contributors. The roundtable will be followed by a yoga practice in Lower Herrick with Dr. Jackson. For more information, visit the Occidental College event page. The LA chapter of Women, Action and the Media and the Yoga and Body Image Coalition will host Jacoby Ballard for a free social justice workshop at Santa Monica College. For registration information, click here. Hosted by local Yoga & Body Image Coalition members Dr. Beth Berila and Elen Bahr at the Yoga For Every Body studio. Each meeting will include an hour-long discussion and a fifteen-minute closing meditation with gentle movement. The March session is titled "On the Margins", exploring the theme from the Yoga and Body Image Book. For more information, visit EveryYogi.com. Join Yoga and Body Image contributors Rolf Gates and Dr. Melody Moore along with Yoga and Body Image co-editor and Yoga and Body Image Coalition co-founder for a reading and book signing accompanied by meditation and movement. Details here. We're excited to bring the Twin Cities an enriching weekend of body positivity and celebration of human diversity! Yoga Teacher? Learn how to structure your classes for all body types. Yoga Practitioner? Begin to develop a new, loving relationship with your yoga body. Yoga Curious? Discover what the buzz is about and why you absolutely can be a yogi. 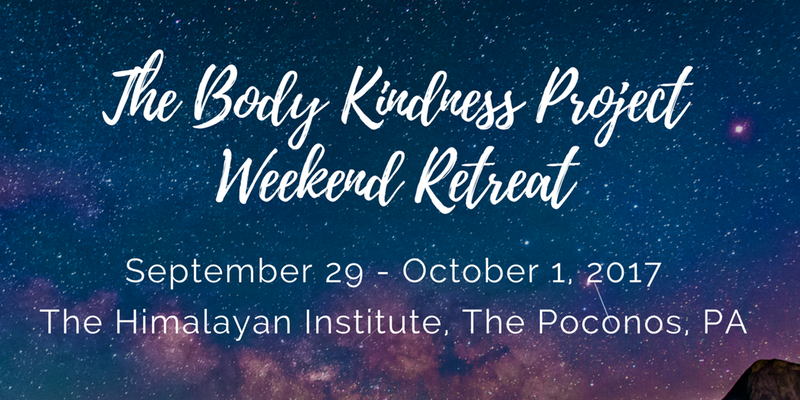 Join Yoga & Body Image Coalition co-founders, Melanie Klein and Gigi Yogini, and book contributors Dianne Bondy, Nita Rubio and Kerrie Kauer, plus local Coalition members, Beth Berila and Elen Bahr, for a weekend of workshops and thoughtful discussions.